I was notified via my tech feeds that Paypal had launched Paypal.me. It's a simple link that allows for payment. As always I plunged right in. New tools require new protocols and while others would blog about it's launch or that it exists . I've learned that the information value is in "how does it work." Paypal me is a Social commerce tool. 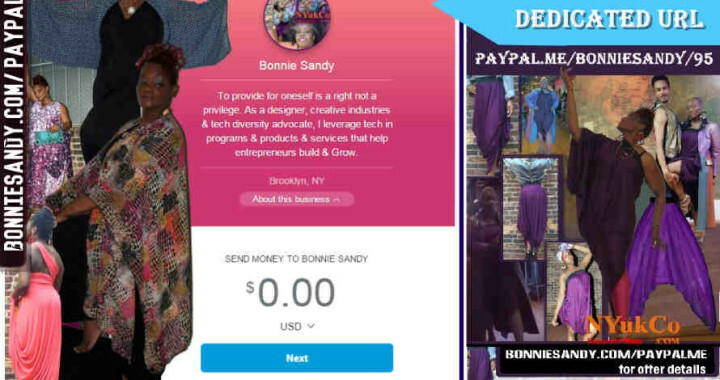 Paypal is set to lose a HUGE chunk of it's revenue with the coming "Buy" features that will soon become prominent on Pinterest, Twitter, Fb and heaven forbids Etsy decides to get their own payment system. I saw the button as a simple url to add to images and in video... and BTW it does resolves on Fb this far. This is a Pre-emptive strike aimed specifically at leveraging the popularity of images (images can be placed in videos) and social messaging. we're developing a teen entrepreneurship program based on Creative Industrialism concepts. What about using the button to sell or pay for Goods and services. We see it all the time on Social media an image and a call to action "Inbox me for your invoice." We define it as #Socialcommerce and have been actively testing the details few take into consideration. This button changes the protocol. 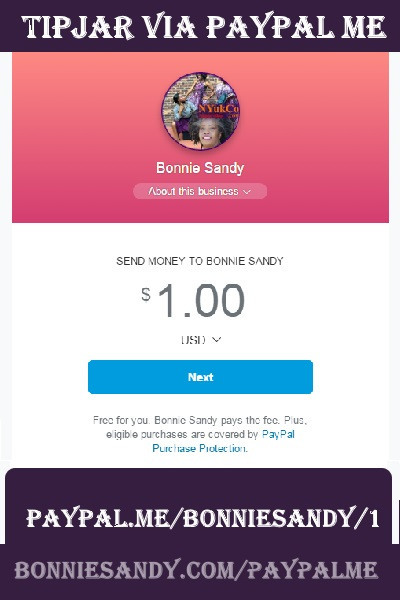 It's now post an image pay send validation email. tehn again 10 year ago we did not have twitter Instagram and very few had heard of Facebook. The above offer is available. I'd love you to test the button and actually buy the product. It's a Great Travel Item, works in any climate (it is easily layered) ! Probably the best use will be as a Tip Jar... or contribution to major purchases. An Image or logo;- they use a circular icon so prep your image to work within such a frame. A description - About this business"
"The ability to provide for oneself is a right not a privilege. As a designer, creative industries & tech diversity advocate, I leverage tech in programs & products & services that help entrepreneurs build and grow "
Since Physical goods are part of our product listing it immediately wondered how we would leverage this url on social commerce sites..We had started adding our Url to our images as the high share value of fashion often resulted in many using and sharing iour images without credit. Use to collect payment offline by simply point contacts to your page. As with any image marketing remember to use Google's image search and other tools to check who's using your images. It was easy enough to set up (see below), but remember this is simply a tool. Your success with it will in part depend on how flexible you are with thinking of ways to use it. As a url you essential can use it wherever a url can work including in images. In an increasing photo conscious world it's ingenuous. Which is why I think this is a subtle game changer. Tehn again I can understand it's use with digital goods and services. even some hard good such as a book, an electronic device, What of clothing or ondemand craft makers or other customizable items. how about dealing with strangers rather than just "friends'. below are sample cases feel free to click . You can bookmark this page or subscribe to my newsletter for updates on this and other technologies. Posted in Building Black Businesses 360, Creative Cottage sector, How To, Latest.